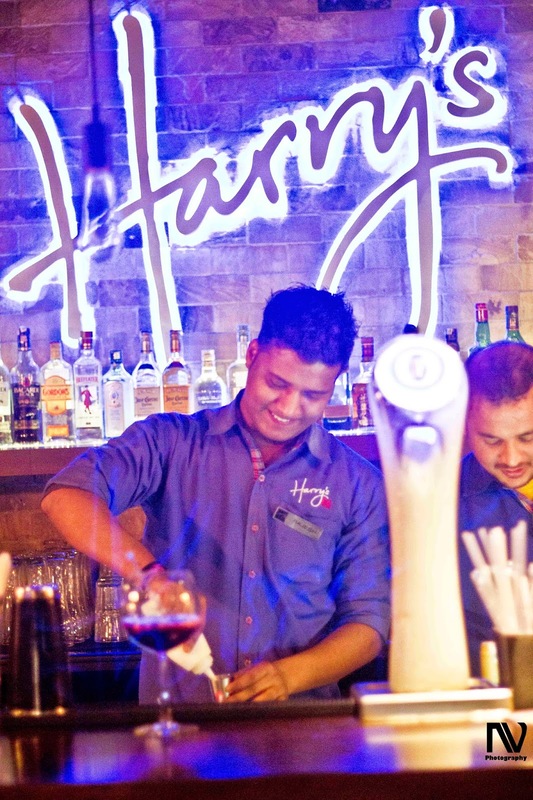 Harry’s, Singapore’s favourite bar, has made its name in Mumbai as well as in Delhi, and Chef Vicky Ratnani has made sure with his exquisite preparations that it remains in the top ranks in the list of every person, who wants to try something new in Asian, Mediterranean and American cuisine . 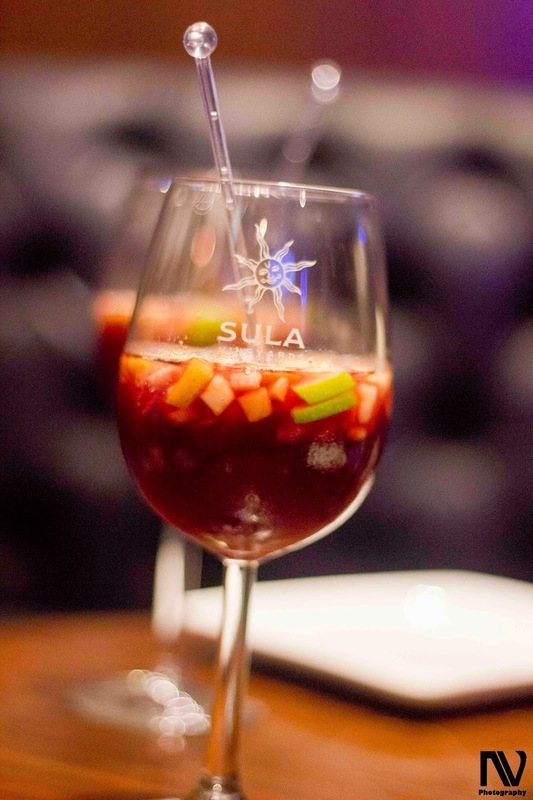 The place is well known for its cocktails, and as soon as you enter the Saket outlet, you will see the bar with two/three bartenders working hard to prepare your drinks. The place has a low light ambiance, which makes it a place where a tired you will want to go after a day of work. 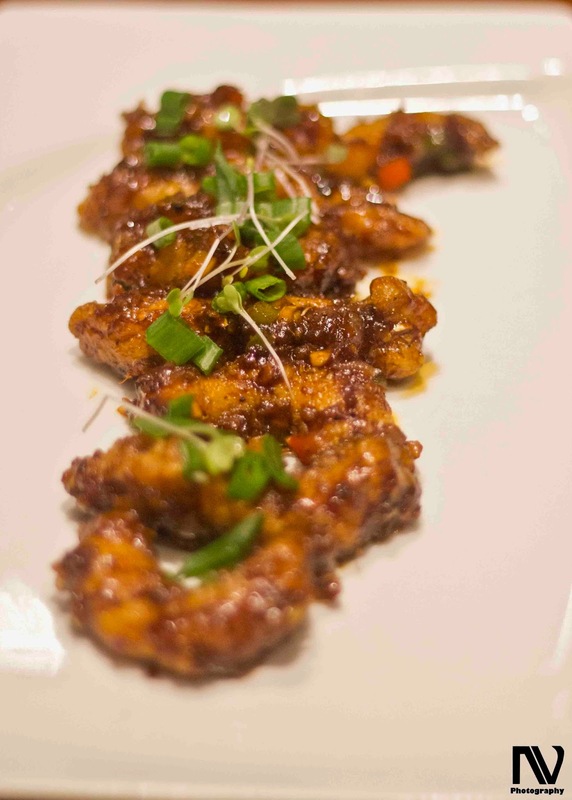 We went there for tasting Chef Vicky Ratnani’s new menu, which came out to be quite flavorsome and delectable. 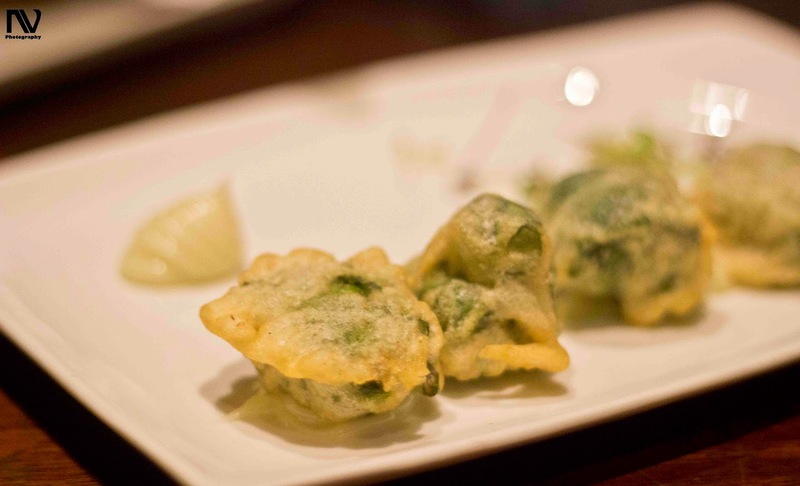 First on the table was Wasabi Cottage Cheese, it was paneer marinated in chilis and wrapped with spinach and coated out with tempura batter and then fried. It was placed on a small circles of wasabi flavored mayo and garnished with mustard radish, and garlic leaves. It was a perfect dish for vegetarians, crispy on the outside with the soft and tender paneer just waiting for you to dig your teeth in it. This went very well with the Red Wine Sangria. Next we were served with Ratatouille Stuffed Mushroom Caps. 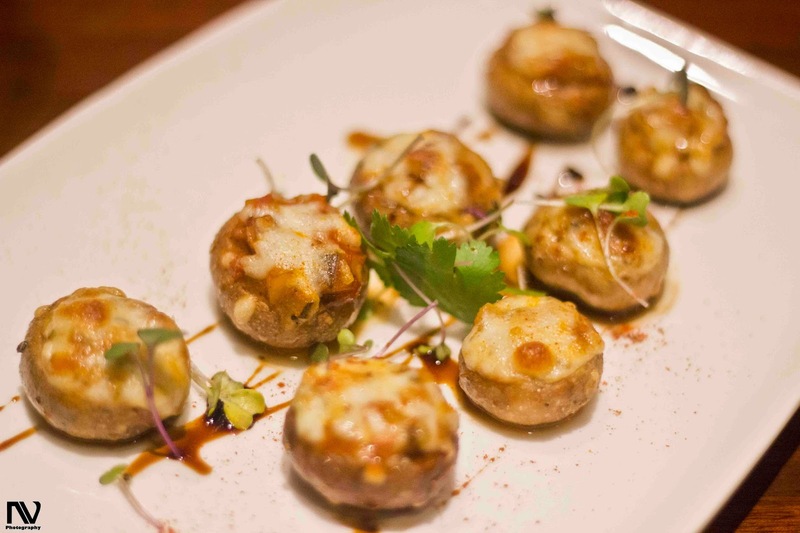 On the first look the dish looked like a simple stuffed mushroom dish that we get in each and every restaurant, but after the first bite you are proved wrong. Ratatouille is basically a vegetable dish consisting of onions, tomatoes, peppers, aubergines etc, this was the stuffing of our mushroom caps and was topped with cheese and then grilled. It was evenly spiced dish to go well with your drinks. 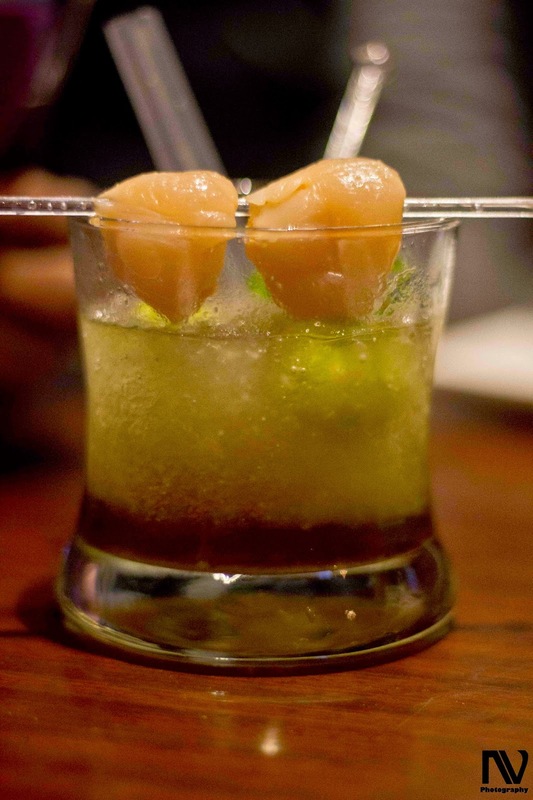 As Harry’s is famous for its cocktails, Chef Vicky Ratnani made sure that his starters go well with the drinks that are served at Harry’s. After this simple yet flavorful dish, we were served with a gem of a cocktail, named Dirty Harry. It is vodka poured on an ice mist, flavored and canned litchis for the presentation. The drink was brilliant and we ordered like 4 refills of the same. Watermelon and Feta Salad, which was a good combination of cubed watermelons and chunks of feta cheese with vinaigrette dressing and olives that were soaked in brine. 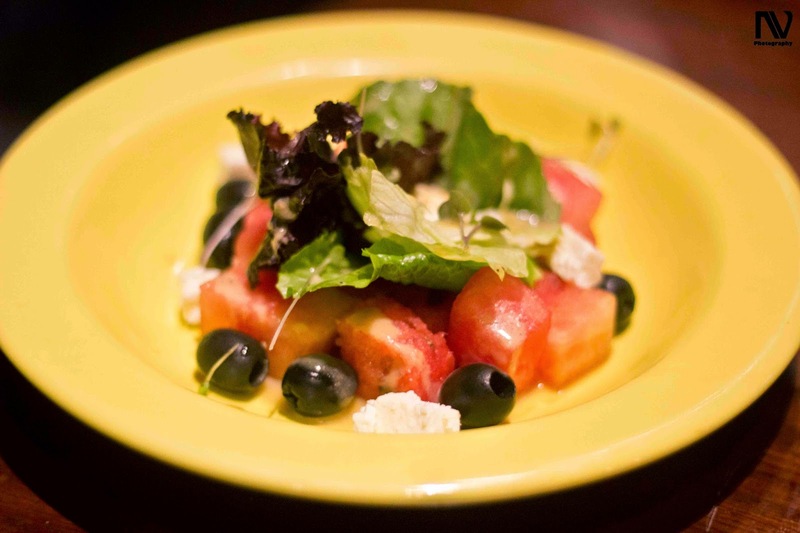 This dish was a battle between sweet and salty, on one hand the watermelon was trying to add the sweetness but on the other hand feta cheese and olives made sure that you don’t forget the saltiness. After this royal rumble of sweet and salty, came the Pataya Fish Goujons. The fish was fried and sautéed in a sweet chili sauce along with some onions, peppers etc. It was cooked perfectly and was breaking as soon as you put it in your mouth, a sign of a good fish and of a good preparation. For the main course we were served with Thai Curry and Rice. 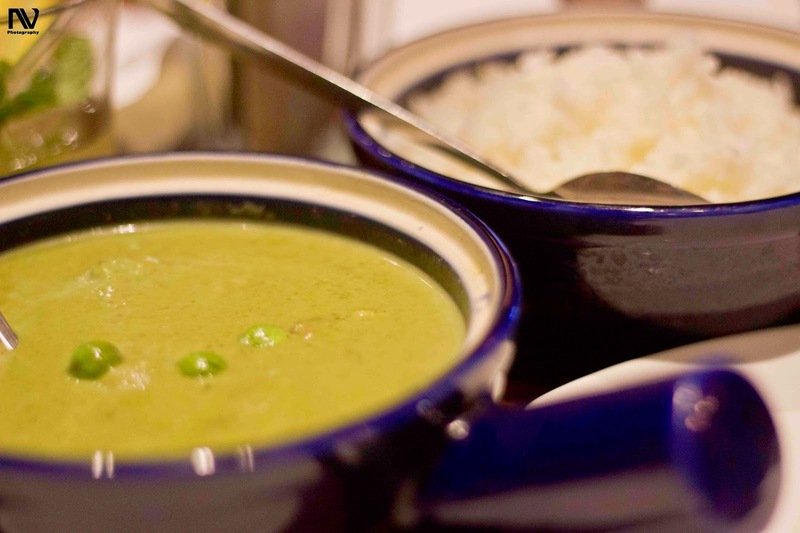 Like any typical Green Thai Curry, this had the coconut cream base, with the green curry along with some vegetables. This went well with the steamed rice that were served with the curry, and thus marking the end of our great dinner. 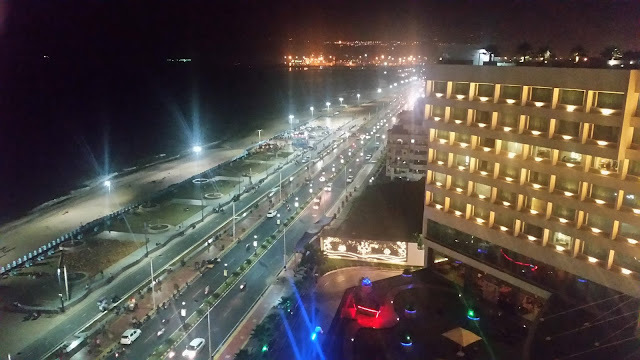 It is a place for people who are looking for a dimly lit and quiet place for a quite get-together with friends on a couple of beers or cocktails.